Contact with us for more details of your specialist vessel requirements. 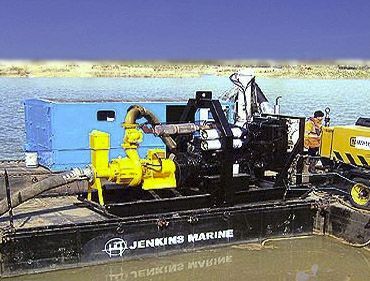 Jenkins Marine operates a number of specialist vessels to suit a wide variety of tasks. We offer a fleet of fast, maneuverable hopper barges, ideal for capital and maintenance dredging, beach replenishment and coast/pipeline protection projects. 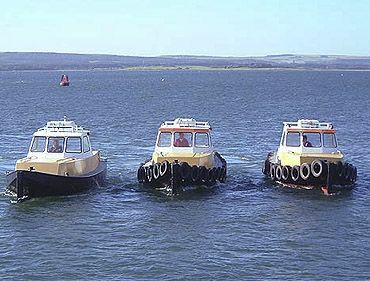 Multi-purpose, support or multi-role vessels are designed to operate in a more versatile role whether it be pipe-laying, diving, dredging or stand-by and accommodation vessels. These vessels are the swiss army knives of marine operations and are typically designed to accommodate a range of work scopes with the minimum of fuss and are extremely versatile. 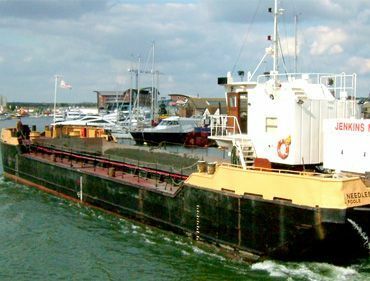 Having operated a fleet of motor tugs for many years, we currently operate two dedicated towing vessels. 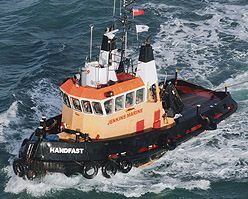 Additional support is provided by some of our multi-role vessels and backed by a wealth of knowledge, gained through years of experience with towing and salvage operations. Our Mexeflote and Unifloat modular, portable, marine pontoons are proven to be a versatile solution for working over water. 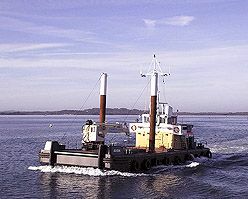 They are road transportable, shallow draft, capable of supporting loads of up to 10 tons per float. They can be assembled to create a wide variety of different sized platforms. To provide access and support on more restricted marine sites we offer a variety of small, shallow draft, road transportable workboats.